EAST LANSING, MI—Reflecting the American electorate’s increasing openness to unconventional political candidates, a new poll released by Michigan State University on Monday found that 78 percent of Americans would vote for the Liberty Bell in a presidential election. 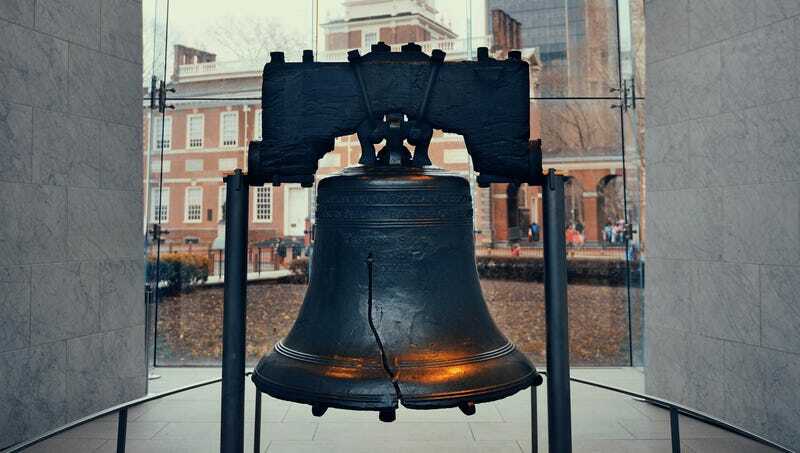 “A large majority of those surveyed said they could see themselves casting a vote for the iconic bell, citing their admiration for its strong outsider perspective and independence from established political parties,” said head pollster Kevin Han, adding that many respondents were impressed with the work it had done locally in Philadelphia and view the 2,080-pound bell as truly embodying the classic American values they hold dear. “About 68 percent thought it could restore dignity to the office, 42 percent thought it would represent the country well overseas, and 57 percent said they could see themselves getting a beer with it. Admiration for the widespread celebrity it’s attained by appearing on commemorative stamps and monetary notes also played a major role in determining support.” Han went on to say that most of the 22 percent who didn’t support the bell cited the large crack on its face as a deal-breaker.